Marijuana remains illegal under federal law. The Federal Government does not recognize marijuana to have any medicinal values. Marijuana sales and illegal distributions are illegal under Washington state law and Federal law. FOIA (The Freedom of Information Act, commonly known as the FOIA, was enacted by Congress in 1966 to give the American public greater access to the federal government’s records.) Basically it is not illegal to KNOW any information nor is it illegal to TEACH any info. We are also using our 1st amendment rights of free speech when consulting about the cannabis business. Washington Cannabis Institute does not promote illegal sales or use of marijuana in any way. That is why we strongly urge you to take our seminars to get the latest in developments in laws and news concerning the Medical Marijuana Industry. Washington Cannabis Institute COURSES, INSTRUCTIONS, PAPERWORK, AND ONLINE VIDEO COURSES ARE NOT GEARED TO BREAK, TRANSGRESS, ENCOURAGE THE BREAKING OF ANY LAWS OR VIOLATE OR PROPAGATE AND/OR FOSTER ANY ILLEGAL ACTIVITY IN ANY OF THE STATES, COMMONWEALTHS, DISTRICTS, COUNTIES, CITIES AND/OR PARISHES WHEREIN THEY ARE PRESENTED. Washington Cannabis Institute COURSES, INSTRUCTIONS, PAPERWORK, AND ONLINE VIDEO COURSES ARE PRESENTED WITH THE SOLE PURPOSE TO EDUCATE THE ADULT PARTICIPANT(S) WITH THE COMPLETE FACTS ABOUT INITIATIVE 502 OF WASHINGTON STATE AND ITS USE AS A MEDICAL ALTERNATIVE RESPONSE TO PATIENT CARE AND THE TREATMENT. Washington Cannabis Institute PARTICIPANTS ARE SOLELY RESPONSIBLE FOR THEIR OWN BEHAVIOR AND/OR ACTIONS RESULTING FROM THE EDUCATION PRESENTED BY Washington Cannabis Institute AND ITS INSTRUCTORS, LAWYERS AND OTHER EDUCATORS. 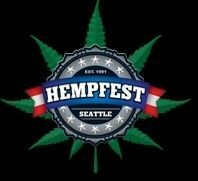 IF ANY PARTICIPANT SHOULD UTILIZE Washington Cannabis Institute CLASS INFORMATION TO BREAK WASHINGTON STATE,COMMONWEALTHS, DISTRICTS, COUNTIES CITIES AND/OR PARISHES LAW(S) Washington Cannabis Institute AND ITS INSTRUCTORS, LAWYERS AND OTHER EDUCATORS SHALL BE HELD HARMLESS. Do some research before taking our courses, familiarize yourself with the Marijuana Industry and understand all the risks involved with running this type of a business. Don’t take the courses only to find out that this business is not for you and ask for a refund. IT’S NOT GOING TO HAPPEN! THERE ARE ABSOLUTELY NO REFUNDS ISSUED AFTER TAKING THE COURSES OR SEMINARS. Refund Policy: Refunds may be allowed for Live Seminar classes with a 7 day advanced notice. No refunds may be issued after the 7 day prior to class allowed period. 7 days prior to class dates cancellations may not be given a refund because by this time we may have incurred expenses of printing materials and reserving space to teach as well as missed opportunities to fill your seat. If you cannot make it to class on the date purchased and we can re-schedule you for a later class. If you need a refund and it’s past the allowed time period and you do not want to reschedule, please contact us. If you signed up in the 7 day prior to seminar period, no refunds will be issued. For Online Seminars and all 1-On-1 Courses, no refunds will be given after taking the Seminars or Counseling and getting the education that is being advertised on this site. A refund may be given if the cancellation is at least 2 days before the seminar or counseling date. For the Turnkey Business Systems, a separate contract will be signed, different refund and cancellation policies may apply. THERE ARE ABSOLUTELY NO REFUNDS ISSUED AFTER TAKING THE COURSES OR SEMINARS. PRIVACY: We are committed to providing the utmost privacy with your information. Any information we collect on this site will be used as contact information only in reference to a product or service you may have requested. We may occasionally send newsletters, emails or other promotional or marketing materials. We hate spam and junk mail as much as you do and will never sell, rent or give away your personal information. You may opt out or request that we stop communication at any time. All materials (including handbooks from the Main Seminar) sold through this website are fully copy written by Washington Cannabis Institute and protected under law. You agree that you will not sell or redistribute any of the materials received from Washington Cannabis Institute or it’s employees, they are for your sole use only. Links: This site may contain links to other sites, including, among others, those of advertisers, other third parties and companies whose trademarks may appear on this site. We are not responsible for the information collection practices or the content of the sites to which we link. Community Functions: The Site may make available to Visitors and Members chat rooms, forums, message boards, and/or other community functions. Remember that any information you disclose in these areas becomes public information and you should exercise caution when deciding to disclose your Personally Identifiable Information, Financial Information, or other information. You should use community functions at your own risk. Please read this Agreement carefully before accessing or using the Online Services and the Materials. Washington Cannabis Institute may terminate your access, block your future access and/or seek such additional relief as the circumstances of your misuse indicate is proper. Washington Cannabis Institute may modify this Agreement at any time, and such modifications shall be effective immediately upon posting of the modified Agreement. You agree to review the Agreement periodically to be aware of such modifications and your continued access or use of the Online Services and Materials shall be deemed your conclusive acceptance of the modified Agreement. Don’t take the courses only to find out that this business is not for you and ask for a refund. IT’S NOT GONNA HAPPEN! 1.1 Except for distributions in compliance with these Terms and Conditions, you may not distribute your Materials, any Online Services, or software associated with or derived from it, modify, copy, license, or create derivative works from the same, unless you obtain Washington Cannabis Institute express written permission in advance. 3.1 Washington Cannabis Institute represents and warrants that it has the right and authority to make the Online Services and Materials available pursuant to these General Terms and Conditions. 3.2 Washington Cannabis Institute and its affiliates, officers, directors, employees, subcontractors, agents, successors, or assigns, makes no representations or warranty, express or implied, as to the accuracy, earnings claims, content, and advertising materials on its web sites. In the event that any advertisement is inaccurate, your sole remedy is for Washington Cannabis Institute to remedy such inaccuracy within fifteen (15) working days of it being notified of the inaccuracy. You understand and agree that the on line content and advertising copy therein solely represents hypothetical examples and does not in any way guaranty income, revenue, or performance of the Online Services and Materials and does not in any way represent explicit or implicit earnings claims for the user. 3.3 The content, claims, and representations of independent third-party testimonials from users of the Online Services and Materials is not subject to Washington Cannabis Institute prior approval and no representation or warranty is given Washington Cannabis Institute to the accuracy of such testimonials. Washington Cannabis Institute does not undertake to review the contents of any testimonials and any such review of, and approval by, Washington Cannabis Institute shall not be deemed to constitute an acceptance by Washington Cannabis Institute that such testimonial is provided in accordance with the terms of the Agreement, nor shall it constitute a waiver of the its rights hereunder. You understand and agree that the on line content, claims, and representations of such third party testimonials does not in any way guaranty income, revenue, or performance of the Online Services and Materials and does not in any way represent explicit or implicit earnings claims by Washington Cannabis Institute for the user. 4.2 “Covered Party” means Washington Cannabis Institute and its affiliates, and any officer, director, employee, subcontractor, agent, successor, or assign of Washington Cannabis Institute or its affiliates. 4.4 THE COVERED PARTIES SHALL NOT BE LIABLE FOR ANY SPECIAL, INDIRECT, INCIDENTAL, OR CONSEQUENTIAL DAMAGES OF ANY KIND WHATSOEVER (INCLUDING, WITHOUT LIMITATION, ATTORNEYS’ FEES) IN ANY WAY DUE TO, RESULTING FROM, OR ARISING IN CONNECTION WITH THE ONLINE SERVICES, MATERIALS, OR THE FAILURE OF ANY COVERED PARTY TO PERFORM ITS OBLIGATIONS, REGARDLESS OF ANY NEGLIGENCE OF ANY COVERED PARTY. SUCH LIMITATION SHALL APPLY NOTWITHSTANDING A FAILURE OF ESSENTIAL PURPOSE OF ANY LIMITED REMEDY AND TO THE FULLEST EXTENT PERMITTED BY LAW. 5.1 Washington Cannabis Institute reserves the right to modify these Terms and Conditions from time to time in its sole discretion, without notice or liability to you. You agree to be bound by these Terms and Conditions, as modified. Please review the most current version of the Terms and Conditions from time to time, so that you will be apprised of any changes. 5.2 Charges and payment terms may be changed in accordance with your applicable price schedule; all other provisions may be changed by Washington Cannabis Institute immediately. Your access to the Online Services may be terminated immediately upon notice to the provider of the Online Services if any change is unacceptable. Continued use of the Online Services following any change constitutes acceptance of the change. 5.3 Washington Cannabis Institute may terminate the access to the Online Services. The effective date of termination shall be ten days after the receipt of an appropriate notice of termination, unless a later date is specified in the notice. The Company may suspend or discontinue providing the Online Services to you without notice and pursue any other remedy legally available to it if you fail to comply with any of your obligations hereunder. 5.4 Except as otherwise provided herein, all notices and other communications hereunder shall be in writing or displayed electronically in the Online Services by Washington Cannabis Institute. Notices shall be deemed to have been properly given on the date deposited in the U.S. mails, if mailed; on the date first made available, if displayed in the Online Services; or on the date received, if delivered in any other manner. 5.5 The failure of Washington Cannabis Institute or any third party supplier of Materials to enforce any provision hereof shall not constitute or be construed as a waiver of such provision or of the right to enforce it at a later time. 5.6 You may not assign your rights or delegate your duties under your access to the Online Services without the prior written consent of Washington Cannabis Institute. 5.7 These Terms and Conditions shall be governed by and construed in accordance with the laws of the State of California. *NOTICE* – Anyone who distributes illegal copies of our program, or uses our trademarked/copyrighted Process at Home text and/or images without permission will be reported to their billing and/or hosting company, and any other related companies for account closure. COPYRIGHT INFRINGEMENT – BE AWARE …. We will follow with a federal copyright infringement lawsuit in accordance with the The Digital Millennium Copyright Act (DMCA). To date we have successfully prosecuted 32 parties. The entire contents of this website is Copyright (c) 2009-2015 by Washington Cannabis Institute. All rights reserved. This site may not be copied in whole or in part without the express written permission of the publisher. All violators will be prosecuted to the fullest extent of the law.